Published on 19 July 2012. 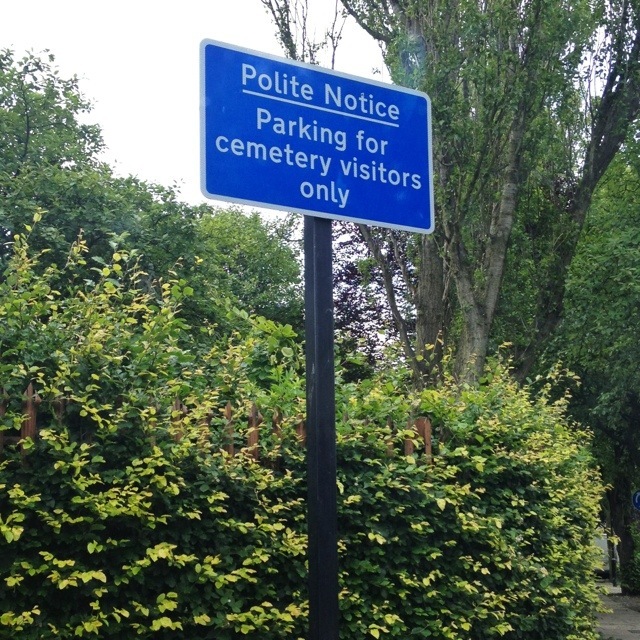 This isn’t the cheeriest of signs to feature, but I drive past it quite often and it always strikes me that, despite its title, it really isn’t a very polite notice. There’s no “please”, no “thank you”, and not even a friendly request. It simply states the desired outcome. By these rules, me saying “I will have a cup of tea now” is a polite way of asking for a drink. Or perhaps the polite way of discouraging cold calling is to post a note saying “this doorbell is not for salespeople”. Or perhaps not. This 1,731st post was filed under: Photo-a-day 2012.